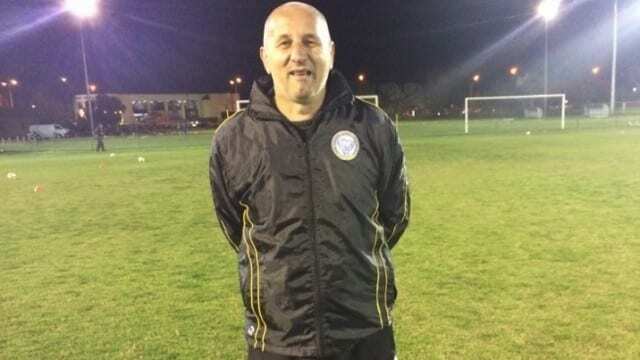 It’s no coincidence West Torrens Birkalla is enjoying its best season in many years and Milan Ivanovic has come to the club as assistant coach. He’s quietly spoken, polite and measured but what he says is worth listening to. After a distinguished career with one of Europe’s famous clubs Red Star Belgrade, Milan made his way to Adelaide having been approached by super coach Zoran Matic to lead Adelaide City’s defensive unit in the National League. Milan helped City reach four National Grand Finals winning two of them as well as an FFA Cup. He formed a formidable backline alongside Alex Tobin with the Vidmar brothers Tony and Aurelio also in the same side. Having arrived in Australia at the age of 28 he still managed to represent the Socceroos an incredible 59 times and went onto become arguably our best ever player , certainly our best defender. He was impassable! Amazingly in his days at Red Star Milan lined up on Diego Maradona and rates him the best player he’s ever seen or played against .What an experience that must have been for a young Ivanovic . As for the Europeans he says the Dutchmen Ruud Guillet and Marco Van Basten are perhaps the best in his time. Milan played aslongside many quality Australians as well and says Mark Viduka was definitely the best he played with which is high praise. We’re so fortunate to have Milan at Birks . Monday nights you’ll see him on the pitch at 6 o’clock coaching under 10,11 and 12 boys passing on his vast knowledge. Milan Ivanovic a true Gentleman and Football Superstar.